Hi everybody! I used to be active mostly on the now defunct djape forums about 10 years ago under the name h3lix. 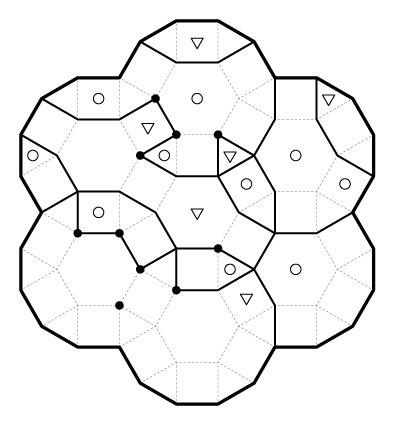 I've been designing puzzles again over the last few months, breaking away from Sudoku to try out some new variants on different grids. 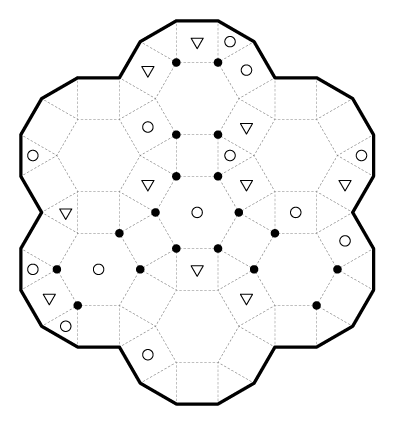 Yagit (ヤギとオオカミ) is a puzzle style originally found in Puzzle Communication Nikoli volume 124 (September 2008). 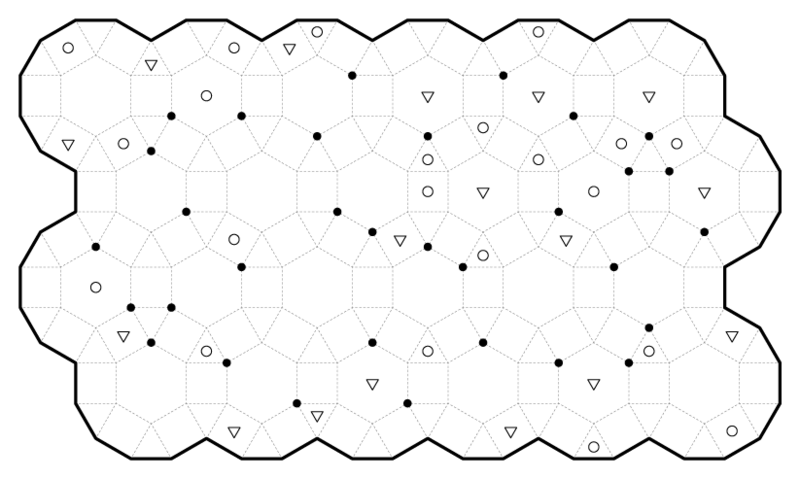 I have adapted this puzzle to play on a Rhombitrihexagonal grid. 1.Here is a field of sheep and wolves, represented by circles and triangles. 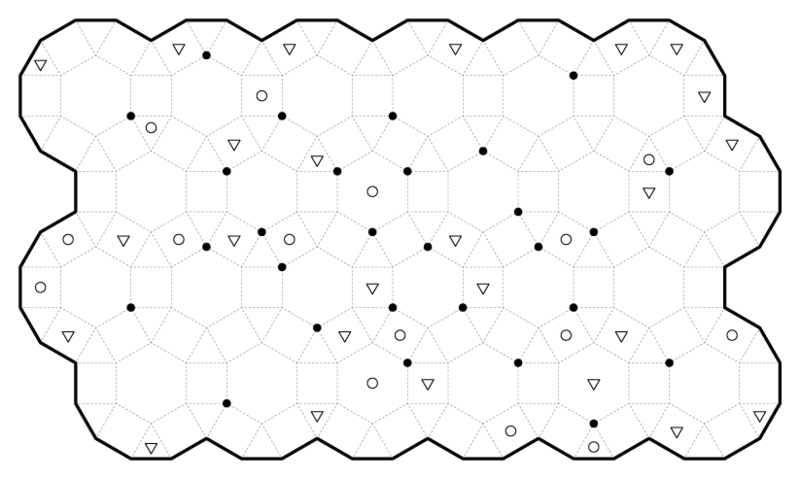 Draw some fences to divide the field into regions that each contain at least one sheep or one wolf, but not both. No region can be empty. 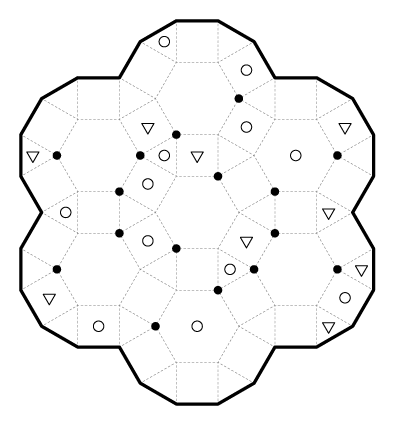 2.The fence must follow the path of a dodecagon, not turning more than 30 degrees at any vertex, unless it has a black dot. 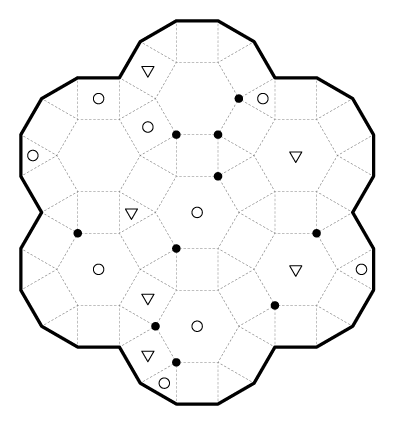 Black dots indicate vertices where the fence may turn in any direction. It is not necessary that a fence cross every black dot. 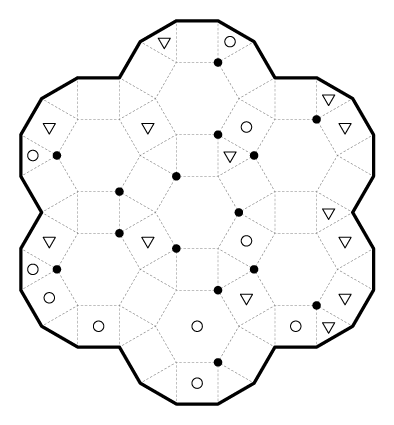 3.Fences may not branch, but may intersect at any vertex that does not have a black dot. Black dots can be part of at most a single fence. 4.Fences must start and stop at the edge of the field (no loops). 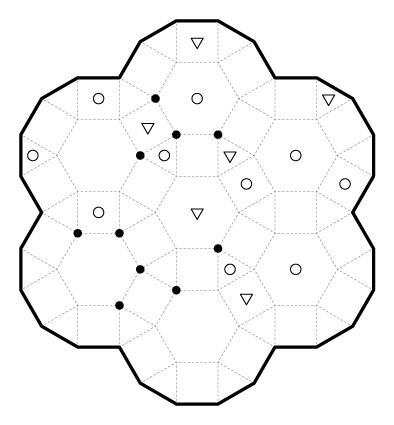 All of the puzzles can be found organized in this PDF, or in the images below.